well, the party on saturday night was a fantastic time, and i think i’m finally feeling summer in brooklyn! last year, a friend gave me a fun idea for a party. she suggested that, after completing project 365, i throw a party, hang up all the photos and invite friends over to celebrate the year. at the end of the night, guests could then take their favorite photos home with them. i loved it. it took me a few months to organize this, but i wanted to wait until it was warm enough to enjoy my outdoor space. this weekend, some good friends were in town and i thought it’d be the perfect time to host a party. 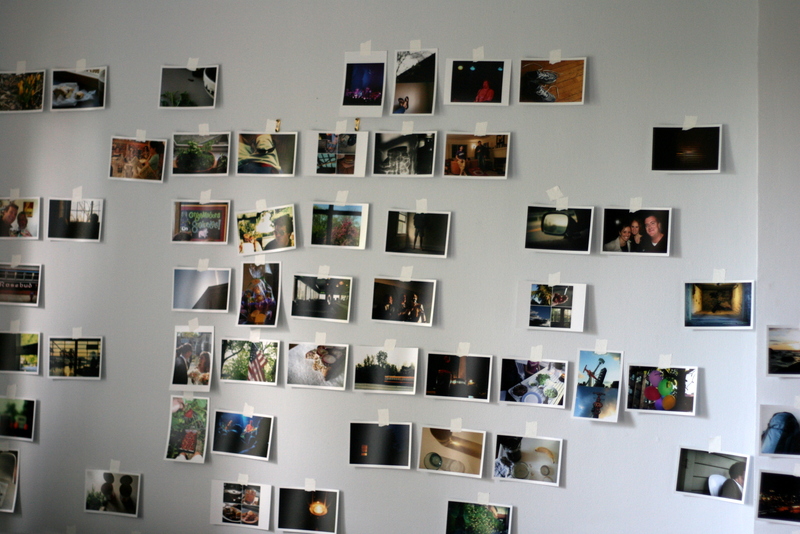 a friend kindly helped by taping up all 366 photos from 2008 along the walls in my apartment, and i prepared a bunch of food and drinks for friends. and the weather was perfect! since i had guests in town, i didn’t want to spend hours in the kitchen this weekend making dinner for 30 people. instead, i prepped a few easy things ahead of time. i made molly’s leek confit (my go-to recipe for a party) to eat on bread with goat cheese, as well as stephanie’s onion relish (this one is a new favorite, for sure). for something sweet, i made kate’s brownies. i bought lots of delicious cheeses at murray’s cheese shop, as well as a bunch of cured meats at murray’s real salami. there was fresh ricotta with olive oil and sea salt, and lots of olives. 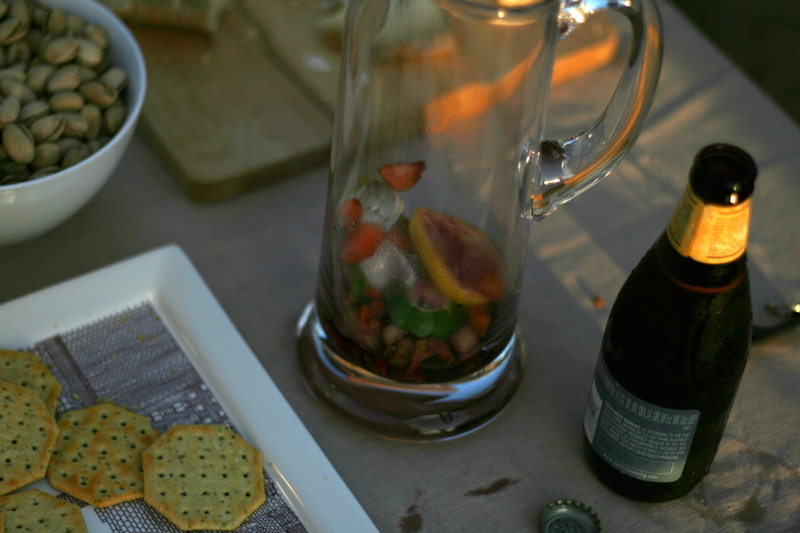 one friend brought a big pasta salad, someone else made red velvet cupcakes, and another friend made sangria. we filled a cooler with ice and beer, and put on some good music. it was such a fun night! and at the end of the party, everyone milled about my apartment and took a few photos home with them. it was so fun to see what people’s choices were. i feel quite lucky to have such great friends, and it is nice to be able to share my enthusiasm for photography with them. What an awesome idea! And the food looks amazing. Happy June to you. Wow. This is so great, all around. The photos are amazing: the light on the table is perfect. And what a great idea. Thanks so much for sharing this. Hooray! How’d it turn out? Could you decipher that recipe? I should totally write a cookbook, right? ppfbbbbt. Answer: yes. That looks like my kind of spread. That salami looks amazing. And you may send those olives right over. 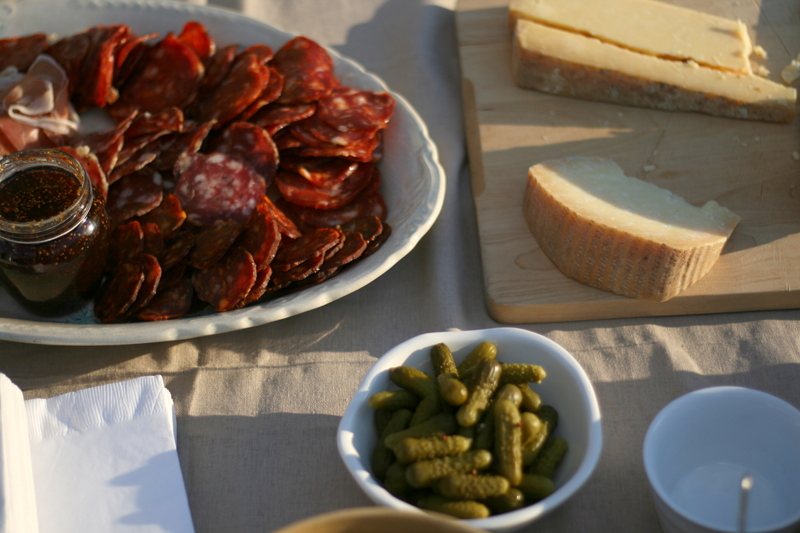 Wow..that spread looks awesome, the salami, the cheeses! Not to mention the photo idea. Fabulous. Looks like a good time was had by all. Wish we had seen more of your outdoor space, but the menu is my favorite sort, and the picture idea is fabulous. 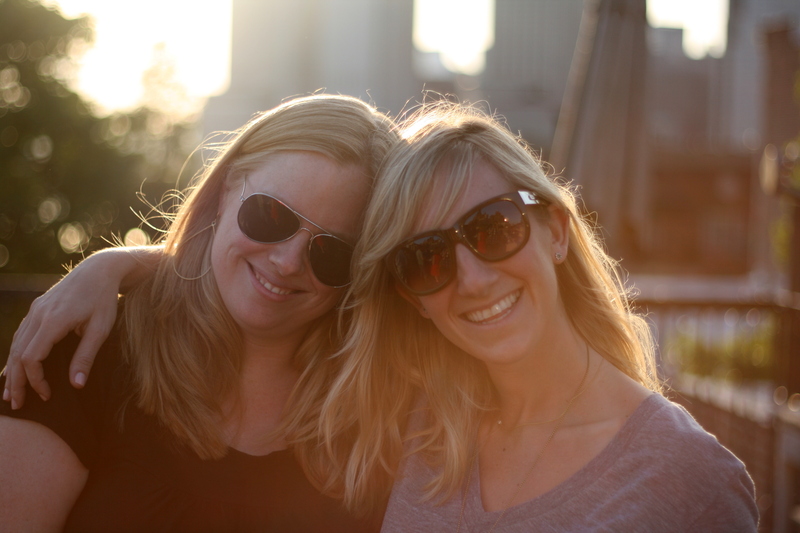 You’re lucky to have good friends; do they know how lucky they are to have you? WOW! That sounds like a very good time! What a great idea for your photography, as well. 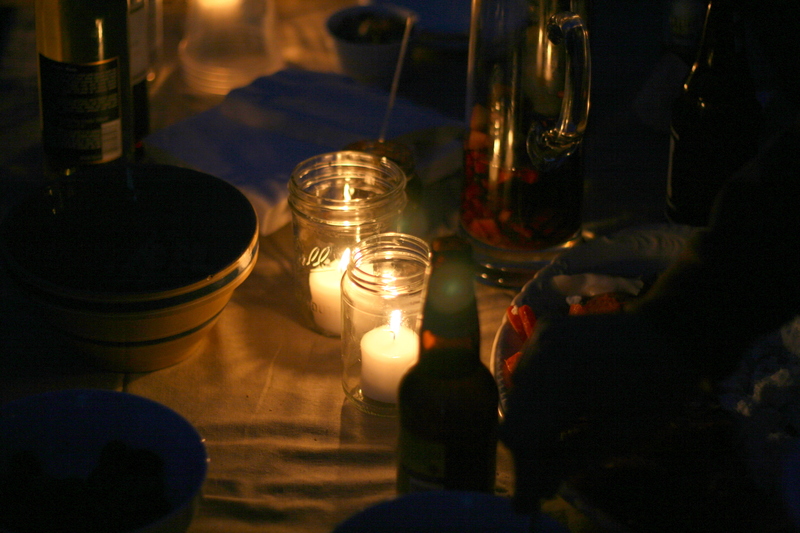 I think I’ll have to have a nice party like this with your recipes, before the mosquitoes get here. And the food looks delicious. Who doesn’t love a good variety of cured meats? Wow, this is such a great idea for a party! I love all the little details…and my mouth is watering over all that yummy food. It looks and sounds like you do indeed have a great bunch of friends, cheers! This makes me want to do 365 all over again! yay for june! yay for a party! what a great idea, posting the photos and letting friends take them. i saw the first picture and had an instant longing to look at photos printed out–it just seems like all the images i look at lately are on a screen and i miss actual photos. the food looks and sounds great. i want to go to a party like that! it looks like you really covered every little detail! thanks for describing it to us. beautiful, yummy spread! what a great idea! Love, love, love the idea for this party. The food looks amazing! What a fun weekend! brian, it sounds like your deck is the place to be in brooklyn! i love this idea – your party sounds fantastic. What a wonderful idea! It looks like everyone had a wonderful time. My brother-in-law lives a 1/2 block away from Murray’s and NEVER goes… He does go to John’s pizza (no slices). If I lived in his neighborhood, I would be one happy camper! the party sounds so special. 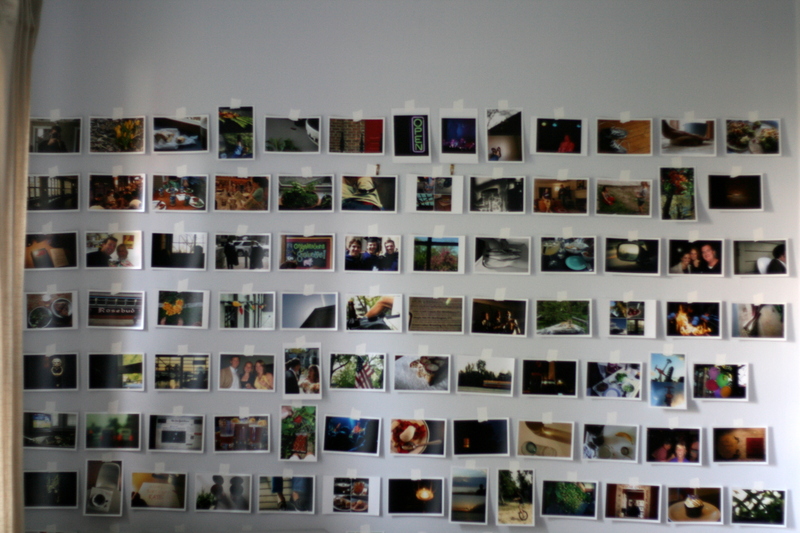 love the wall of photos and the food sounds amazing. glad it was a good gathering. cheers and happy june! this is my kind of get-together – so much fun and joy! 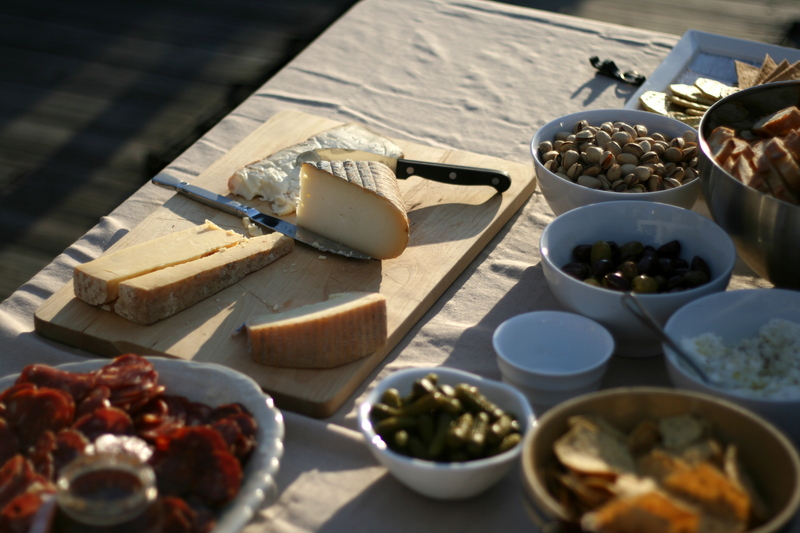 i’ve added murray’s cheese to my list of places to visit – the cheese looks so very good! Wish I could have been there (AND seen all of those pics up on the wall!) – heard everyone had a great time! 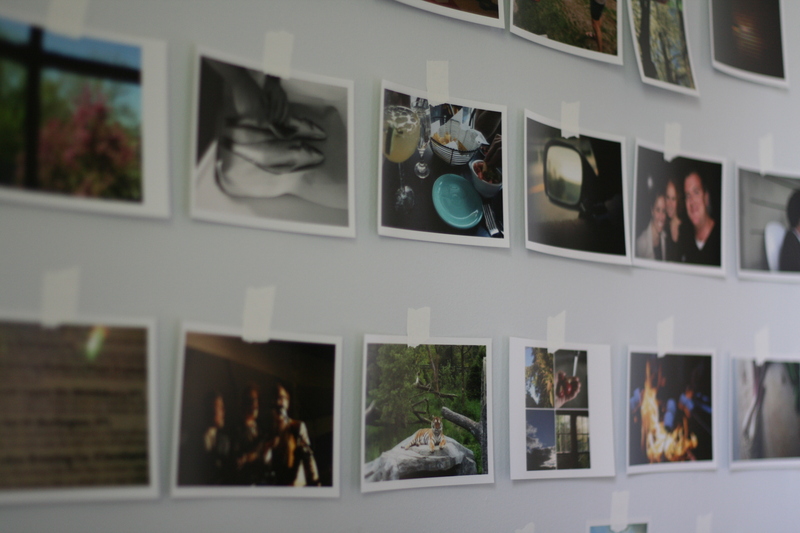 I love the way all your photos look taped up on the wall – and the food didn’t look too bad either. Yum. Sounds like it was a very fun time. such a great idea! i love the way you displayed them. your own little gallery show. i’m sure it was fun for you to look back and remember taking all those photos. and to see how much you’ve grown! thanks for sharing. Suuuuuch a great idea for a party! A simple thematic-party. But great! What a gorgeous night. You’re making me want to throw a party. Oh my goodness, these photos! What a party! that 365 celebration is such a good idea! and looks like it was lots of fun! So sorry I missed it! The photos are beautiful. Sounds like you had Perfect Weather! 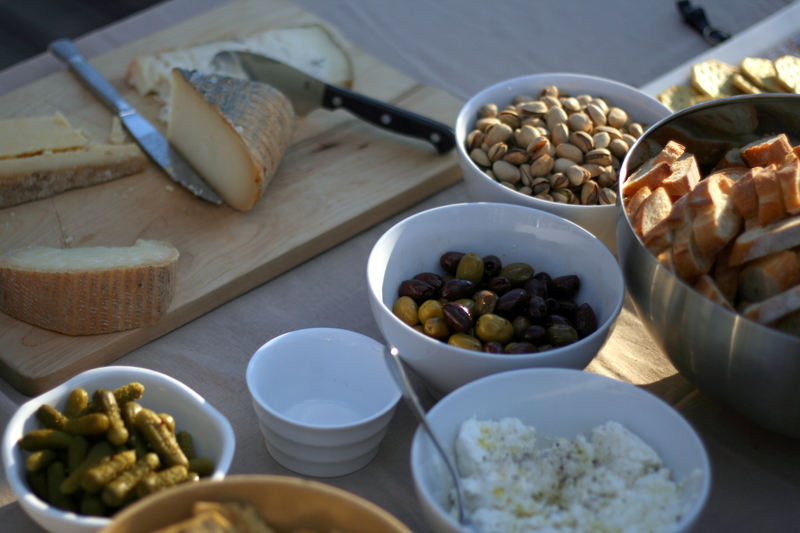 Love this…summer get together’s are awesome. Looks like a great time. Wish I could have made it out to celebrate your fantastic success with 365. So talented! what a wonderful idea! i love it. i’ve just been catching up on a whole bunch of posts here and i’m always so inspired when i stop in here. wow, this makes me want to do a new 365 too!